Parents magazine recently teamed up with Edmunds.com to come up with their 10 “Best Family Cars of 2016” list. 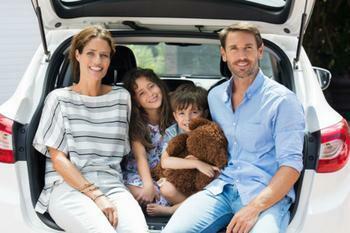 Together, the parenting and automotive experts evaluated hundreds of cars looking for the most versatile, economical, and family-friendly cars out there. For this reason, Points believes it’s important that parents feel confident in their car’s safety functions. This year’s picks, she adds, also highlight features that keep the ride fun and relaxing for everyone. Without further ado, here is Parents and Edmunds’ list of the 10 “Best Family Cars of 2016." The list appears in the July issue of Parents magazine and includes the starting prices of each vehicle.